Good relationships with clients, including understanding their needs, are very important. A relationship with your banker is equally important. He must understand your needs. A good bank manager will not call you every second day about products you are not interested in. Make sure that he understands exactly what your needs are, and a professional bank manager will keep to your needs. Be different, and make sure your banker understands you and your business. Every time I hear I have a new banker … I make sure they meet me for a quick coffee to understand me and my businesses. Big tip ... If your banker meet you for coffee at your office, he can confirm your address for FICA for bank reasons as well. 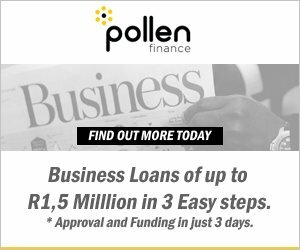 Assist your bank manager to improve your chances of a successful overdraft and other finance applications. In most cases, the banks all need certain standard information. It’s important to understand how to make life easier for your bank manager, which will automatically increase your life. I cannot expect my bank manager create magic out of nothing or part information. We as entrepreneurs need to take full absolute personal responsibility for these applications. Management financial statements for the period from the last set of financial statements to date. Send all these documents together. Do not send various emails on various dates and from various platforms. There is nothing more frustrating for an admin person to look all over the place to gather information they need to assist you with. Remember … the more prepared and professional the information, the more likely that the bank manager will feel excited and motivated to assist you. Use your business account for your business and your personal account for your personal expenses. Take a monthly salary and occasional dividend from the business. Once I did that, my businesses started showing profits, because I can easily budget. The balance sheet of your company must indicate a net asset value. This means the assets of the company must be more than the liabilities. Speak to your accountant to make sure you tick this box before you send it to the bank manager. There a could be various reasons why the financial statements reflect a negative value, with potential solutions. Feel free to contact us below if you have such an issue. I will gladly assist with an opinion. Attend business events that your banker arrange. The will meet like minded small business owners. When you frequently make use of your debit card for transactions (where you pay for the merchant charges), to advise you to rather apply for a business credit card to use (where the supplier pay for the merchant charges). This might sound "old school", but unfortunately the world tends to work on perception. Look the part when you meet your banker. Your bank manager will perceive you as a professional person. Looking forward in hearing from you!